This TV stand is perfect for the room with a flat-screen TV and some extra goodies. 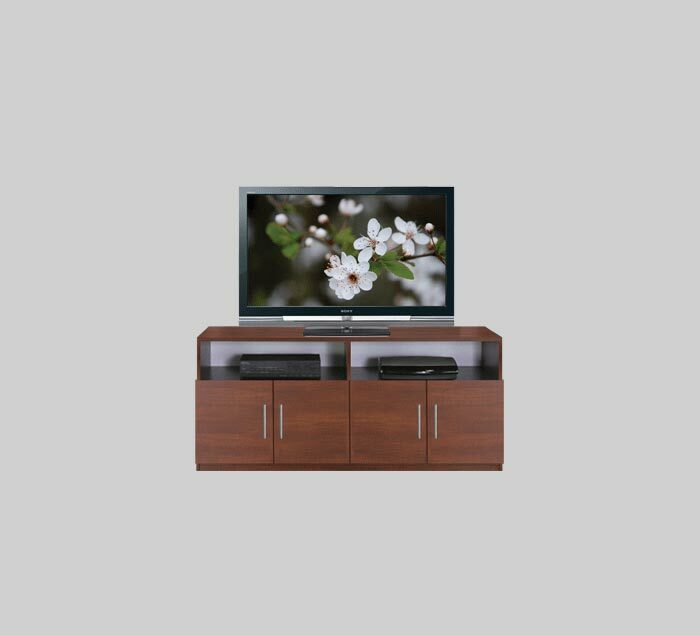 Incorporating shelf space above for your audio/video components and two double-door storage centers below for easy media access, this elegant piece creates a fine minimalist entertainment center, perfect for bedrooms and family rooms. Home delivery is available upon request. Our trained experts will place your furniture as you desire and take the packaging material back to our factory for recycling, leaving you free to pick out a new Blu-Ray player.